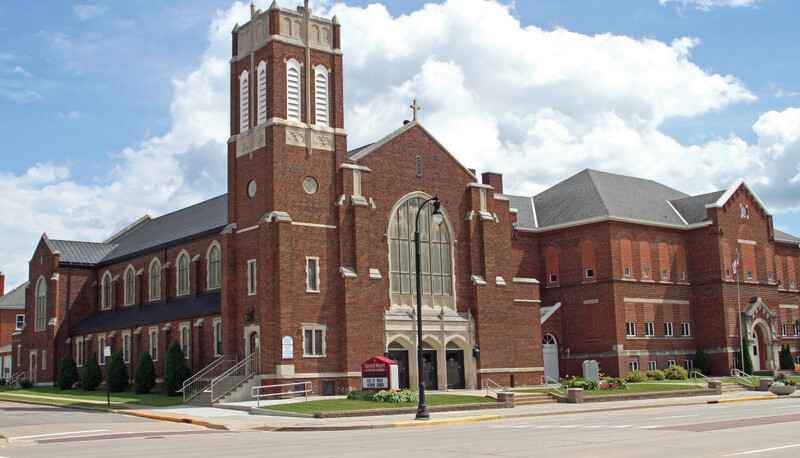 growing community of Marshfield, Wis. A century later, the faith of its parishioners continues to thrive as a celebration of their past and belief in their future to shine in the hearts of many. 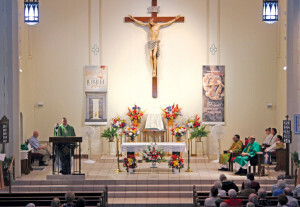 From parishioners who were born within a decade of when Sacred Heart Parish was formed and received all the sacraments there, to those just beginning their journey in faith, this celebration is truly about the people who make up the parish. Both young and old join together to commemorate the past and plan for the future. While Catholics in India have strong faith, the population is much larger. People can be seen flocking to the churches on Sunday. There isn’t any room for them to sit because of the population. With 700 households in India considered a small parish, Father Selvaraj can now see the faith isn’t any different. The only difference is the surroundings and culture of the people. 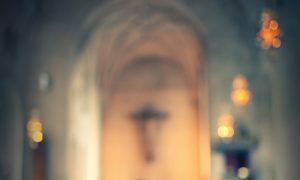 Faith is clearly abundant by not only the longevity of those actively involved within Sacred Heart Parish, but the fact it is also home to 11 vocations to the priesthood and 31 women religious. As with many parishes, Sacred Heart’s foundation was the Catholic school. Opened in 1917, the school’s services were in such demand that there was a waiting list to be accepted. Enrollment was up to 360 students by 1922. Charley’s son, Kevin Louis, is one of the vocations to the priesthood grown from the faith of the parish and Catholic education. Ruth Shookman was born in Marshfield 88 years ago and received all her sacraments at the parish. She has fond memories of attending the parish school. The School Sisters of Notre Dame taught the students and were a great influence not only on the vocations, but also to Ruth. After raising a family, Ruth attended college and started teaching at the parish school at age 42. 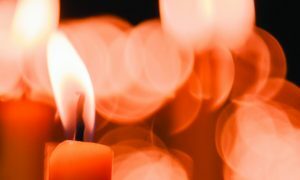 She continued to teach for 28 years. Ruth’s children were also baptized at the parish and attended the parish school. One of her daughters, Judy Shookman, attended college with her mother at her side. Mother and daughter received their teaching degrees within one year of each other. Ruth, who hadn’t attended school since the 1940s, eagerly admits she couldn’t have gotten through college without the help and support of her daughter. Judy was a teacher for 36 years, and is now a substitute teacher in the Catholic school system. Ruth continues to be an active member of the parish: “This is my church and I wouldn’t think of going anywhere else.” Her longevity carries over to the parish choir. She started singing in the choir in grade school and continues to do so. At her side in the choir is another parishioner who was born shortly after Sacred Heart Parish was formed. 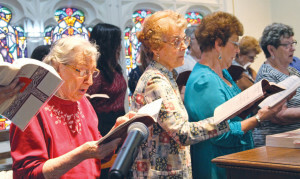 Betty Kraft, 91, has been singing in the choir since second grade. She enjoys singing and looks forward to choir practice and the camaraderie. Six members of the choir have been singing for a combined 325 years. Ruth Shookman has been singing for 65 years, Betty Kraft for 84 years, MaryAnn Burr for 52 years, Virginia Quamrardy for 30 years, John Binder for 40 years and Jon Fait for 52 years. The longevity of the choir precedes its current members. Helen Brinkman became the organist at Sacred Heart in 1933. Taught to play the organ by the nuns while attending school, she became the organist at age 17 and continued until she was 85. She played without a salary most of those years. After serving 68 years, Brinkman retired in 2001. Another parishioner, Rita Walsh, was the choir director for 36 years and retired in 2001. A centennial is a wonderful celebration. But, every year to get to this point is what makes it special. 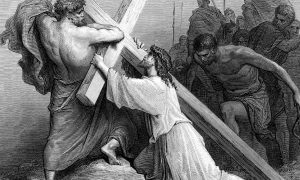 The celebration reminds us that we need to share our faith. 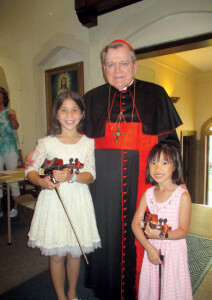 There are many parishioners who go beyond Sunday Mass. They helped make the parish what it is today. Their faith and dedication are the soul of the parish. They strive to lift up those around them and lead by example. They are a testament to God’s power and faith. From those who set pins in what once was a bowling alley in the church’s basement, to the brothers who served together as altar boys, to the custodians who kept the school and church immaculate, there are numerous people who through the past 100 years have made Sacred Heart Parish the faith-filled community it is today.